We’re doing an article on ghosts, spooks, and spirits for October issue. Would like very much to have your statement on do you believe in them and if so when and where have you seen any. Please wire answer collect immediately. 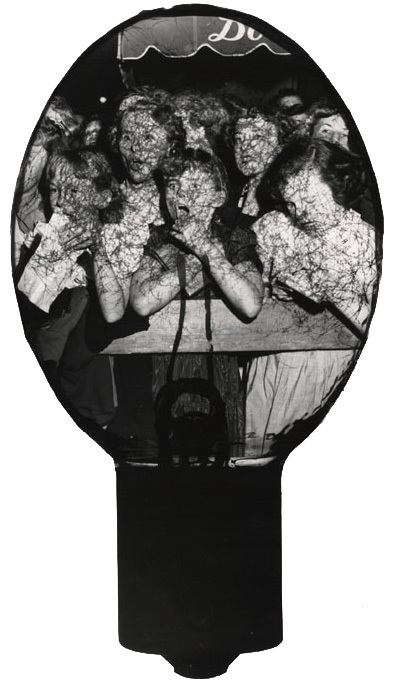 After the success of Naked City (July 1945) Weegee received a number of colorful and fanciful requests. This telegram was sent to the still extant Julius’s Bar (1864-present) from Susan Kuehn who was working as a guest editor and writer at the 11 year old, and no longer extant, Mademoiselle, (1935-2001). Weegee’s response is not known. This entry was posted in Fans in a Flashbulb and tagged 1946, Greenwich Village, Halloween, Manhattan, New York, New York City, telegram, Weegee, Weegee Wednesday. Bookmark the permalink.